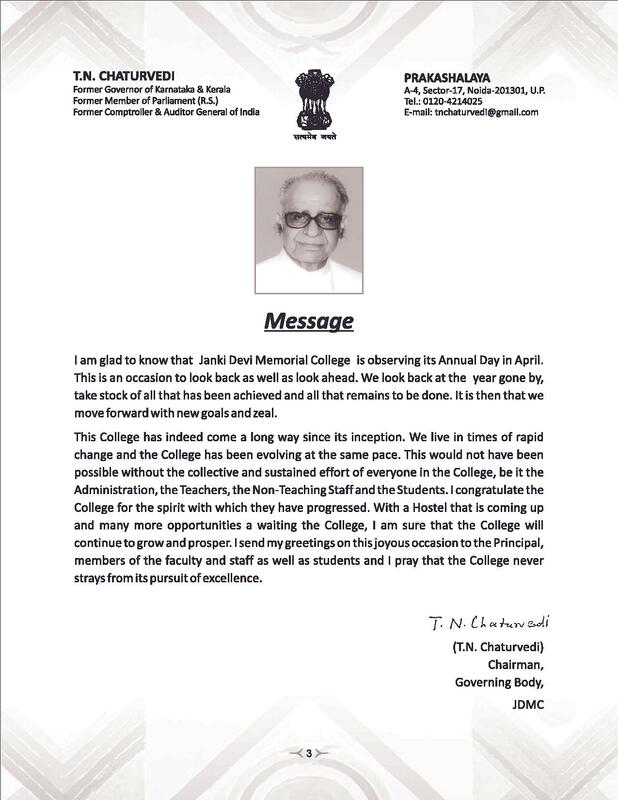 College management is fair enough to support all the activities happening in the college. Bundles of joy with ups and downs..
College is underestimated in terms of performance and facilities. There is more to it than what rumors say. I for one have enjoyed my life there no matter what the negatives I felt. I have made some great friends in college who I believe will be a part of my life now on. I have also got a good education which will help me get a job in my life. I am happy about that. The college is one thing from outside but to know if you have to live there. I still have a lot time left with my course so I cannot not say any negative or criticize the college in the very beginning. One thing I can say is that I have made some really good friends in the college life and it is really enjoying. In terms of facilities, it is acceptable but as mentioned earlier it needs to be improved. In total, I would say, time spent here has been good so far and I liked it. 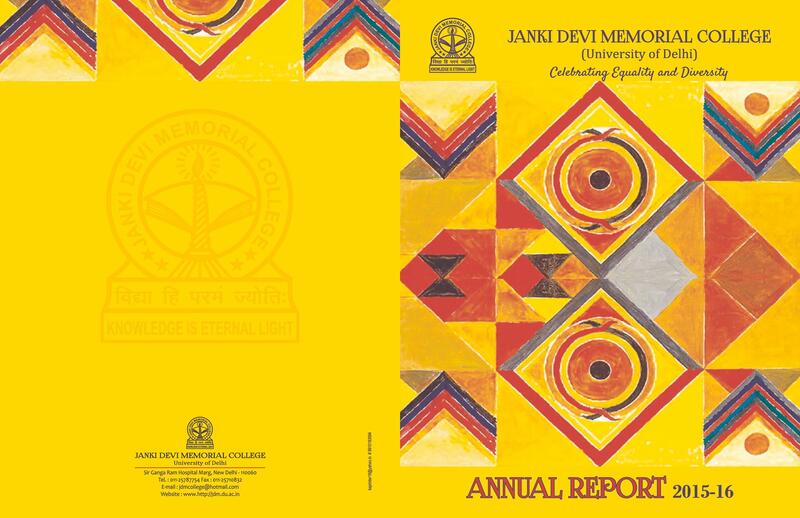 Janki Devi Memorial College (JDMC) prepares efficient & effective professionals for the nation. 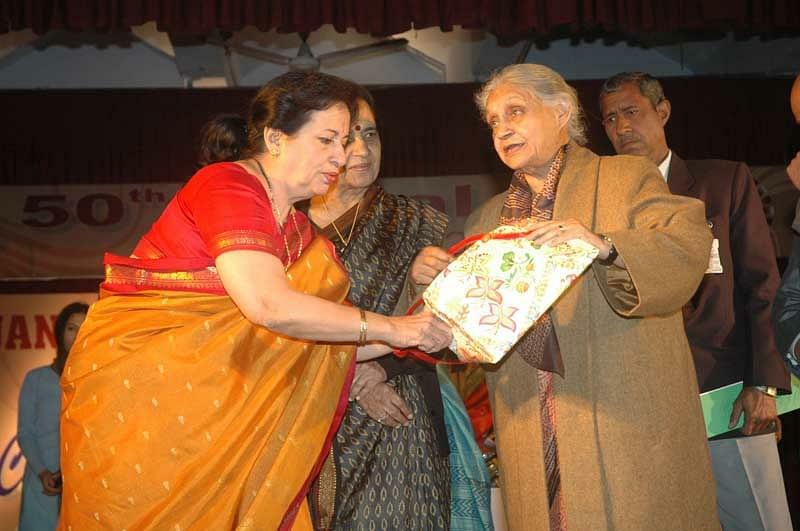 JDMC was established in 1959 by the famous Gandhian Shri Brij Krishan Chandiwala in memory of his mother Smt. 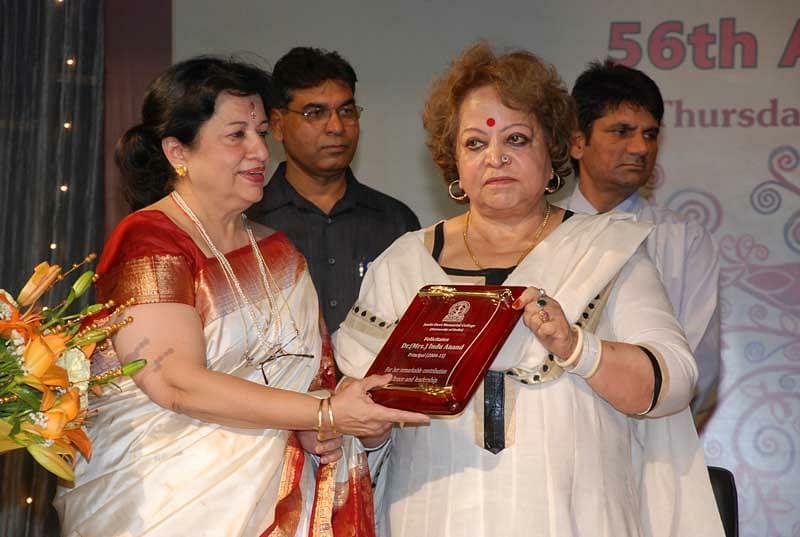 College is affiliated to Delhi University. 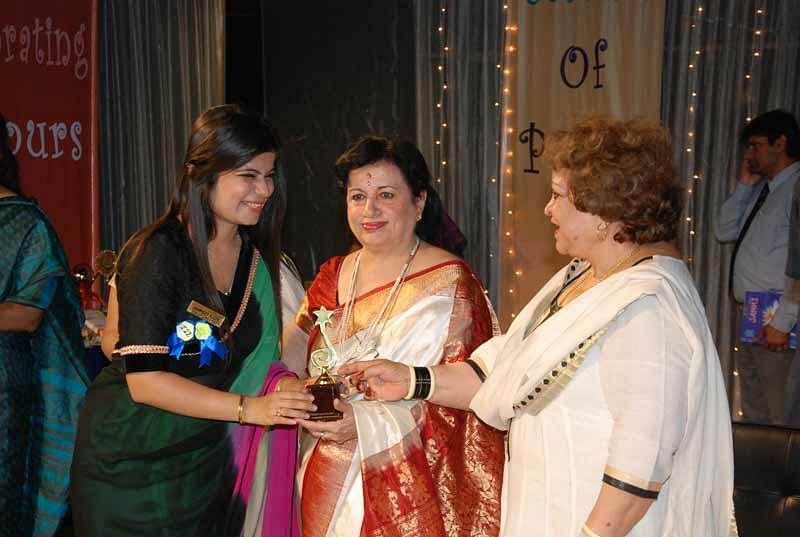 JDMC encourages women education and prepares them for the various challenges they will face in their career. The strength of the students in college is keep increasing every year and to handle it college has an eminent faculty from various fields. JDMC learners is taking college to the pinnacle of sky winning awards and prizes in academics, extra and co-curricular activities and sports. 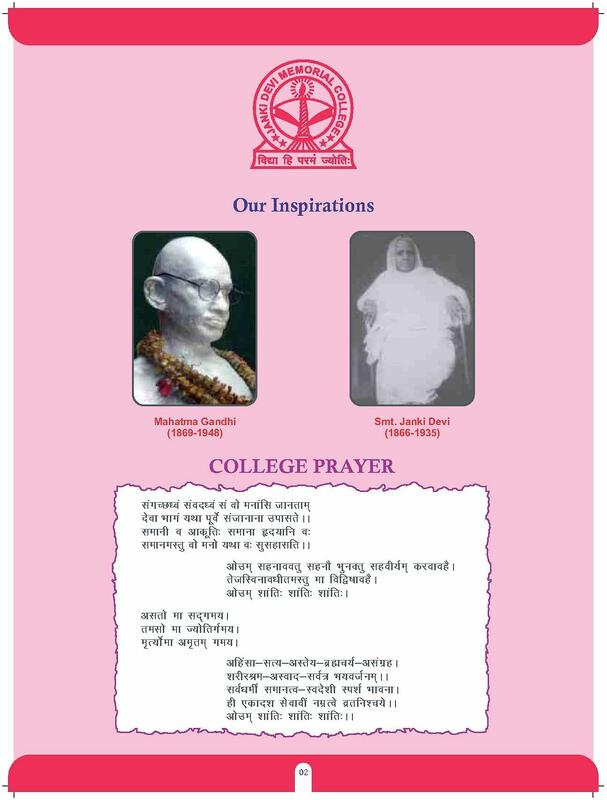 The sweven of the college is to prepare talented and dynamic women’s for the nation by imparting universal standard of education & hones their skill to make them independent women of substance and worth. 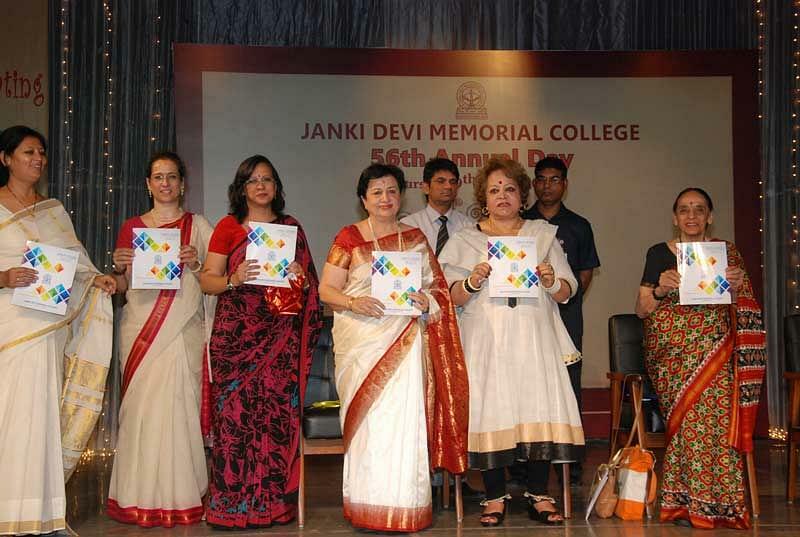 Why to join Janki Devi Memorial College? 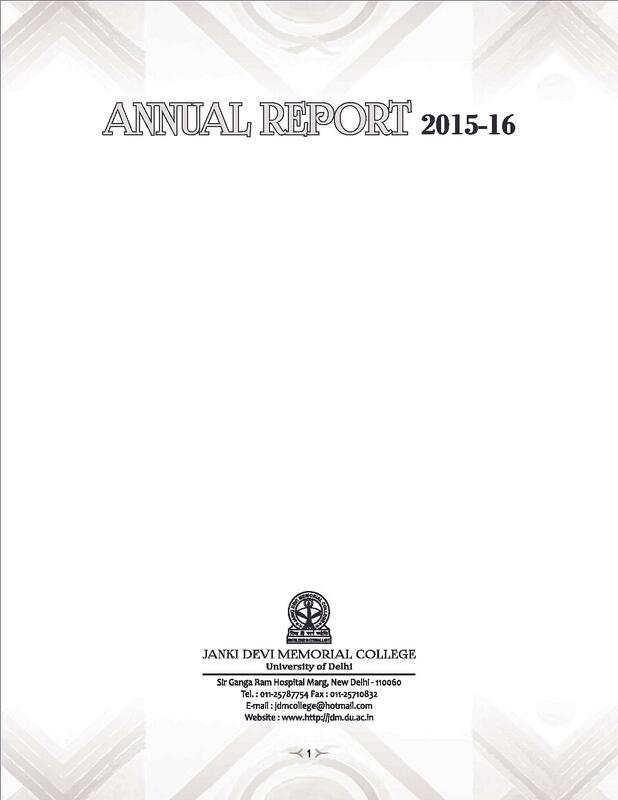 A variety of teaching and learning techniques are employed to impart knowledge and skills to students at Janki Devi Memorial College, University of Delhi in its various departments. Placement team trained their professionals through various activities- counseling, employability, recruitment-drives, resume-writing and personality development and imparts special training for mediocre students. Strong faculty team of the highest quality- Doctoral degree holders from IITs and others top Universities of India and Abroad. 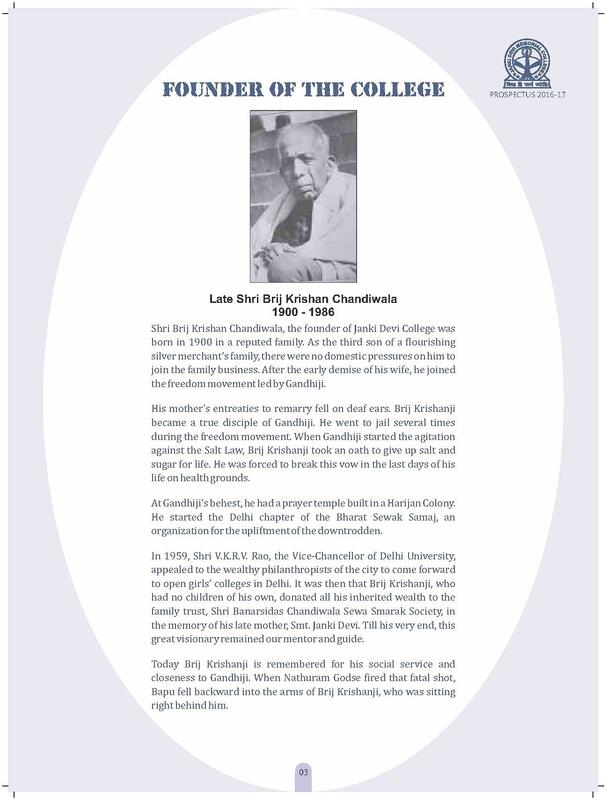 Supports Interdisciplinary perspective in social research-committed to develop an integrated approach to the study of development, educational and cultural aspects of nation-building. 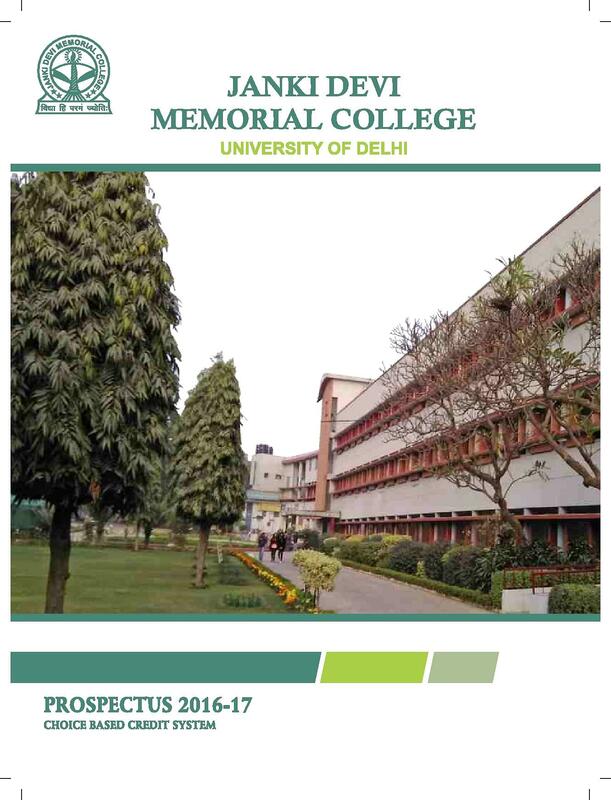 Criteria for getting into this college is totally based upon the cutoff percentages of Delhi University and according to the marks scored in class 12 th boards examination. No such interviews were taken. I opted for this college because of some reviews from my seniors and friends already studying there. "This College life will always be worth to remember." 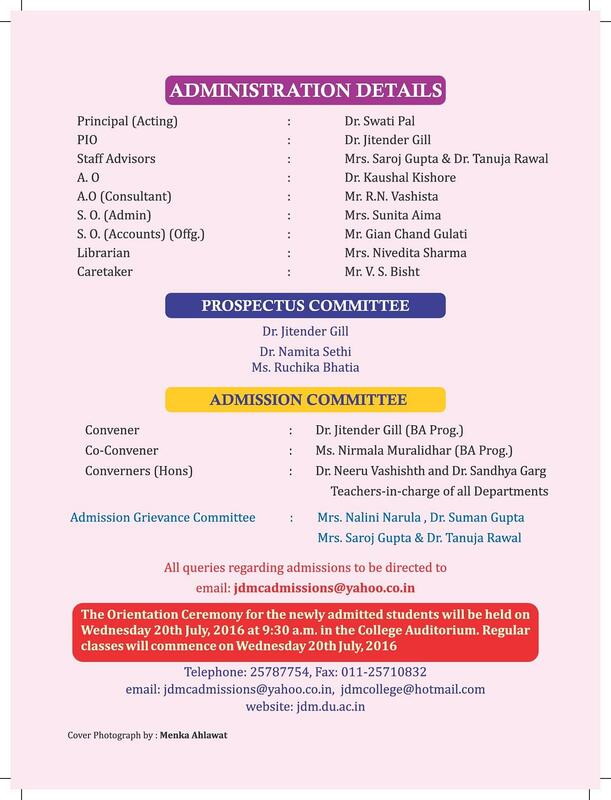 The procedure of getting admissions in the college is very simple. 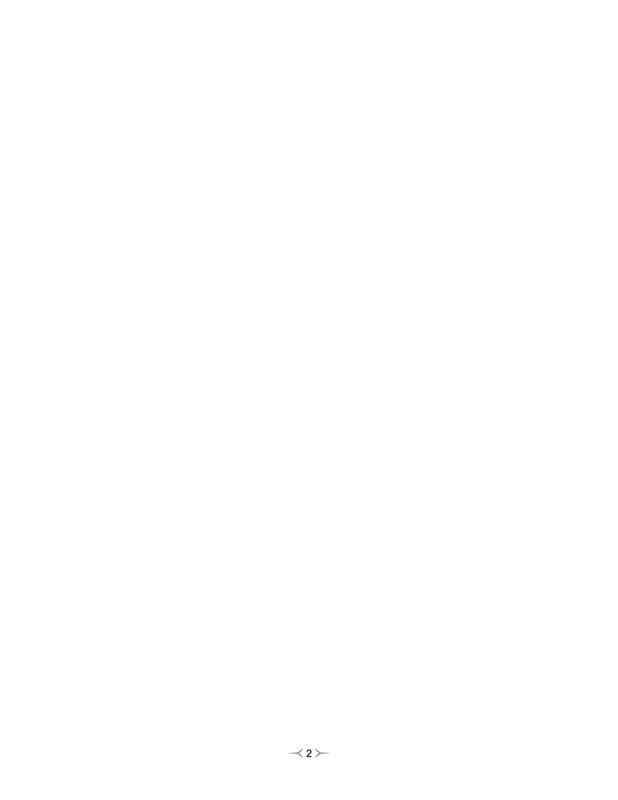 Since it is a part of Delhi University, admissions are based on the cutoff percentage. When the cutoff percentage list was out, I applied for the college directly and got a seat in my preferred branch because of my marks in the 12 th boards. There are no such interview or group discussions. I wanted to get into the North campus but the requirement of marks is higher there and finally ended up to be here.